The students who participated in NEPHIP had a wide variety of experiences working for Environmental Health Departments across the United States. Learn about their experiences below and consider applying to host a student or participate as an intern. ​Responsibilities: During Nirusha’s work period, she accompanied EH officers on several inspections, including food establishments, Seafood and shellfish processors and tattoo parlors for reviewing permit requirements and evaluating sanitary practices in the facility. 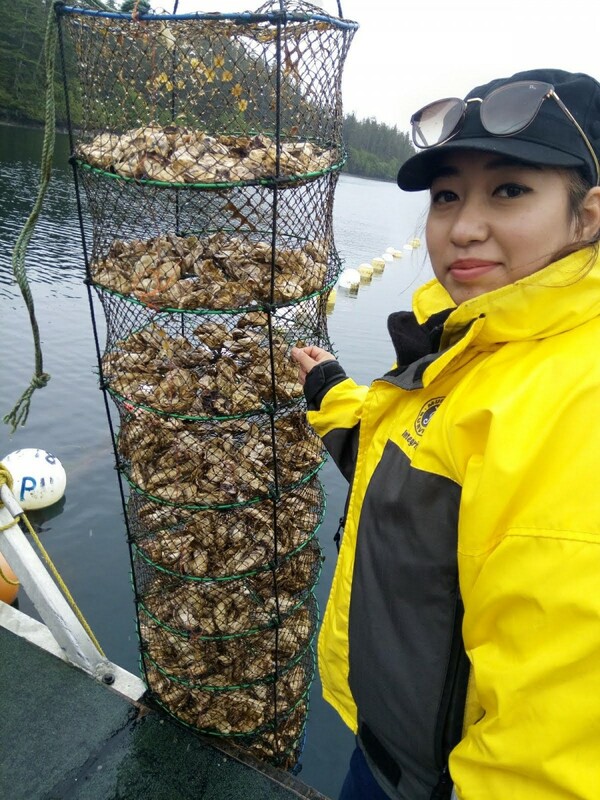 She had an opportunity to fly on a float plane to Prince William Sound for shellfish inspection and water sampling to the oyster farms, to learn about shellfish farming and interacting with the local shellfish farmers regarding sanitary practices. Nirusha visited the Department of Health and Social Services, Section of Epidemiology and learned how to report a food borne illness and how food borne outbreak surveys and surveillances are carried out. She also had a session with the ADEC/EH Division of Water, that ensures safe drinking water to the public and regulates discharges from industries, construction areas, cruises and ferries to waters and wetlands. Nirusha’s project was to prepare a fact sheet for food donation that includes requirements for proper handling, preparing and storing of foods to be donated. She created a webpage for the farmers market that was a one stop shop for the farmers containing all the processes and requirements to be able to sell their products in the market and the procedures for handling and processing of foods safely. ​Responisbilities: Taiwo’s project consisted of him updating the Tobacco 21 Policy which sought to increase the legal age from 18 to 21 years in the City of Cincinnati. The advocates of this policy sought to focus on the seller because the seller is responsible for advertising the commodity to young people, and thereby attracting those who have not reached the legal age permissible to purchase the commodity. His role was to support young volunteers (advocates) to have accurate campaign promotion information. He participated in meetings with different organizational stakeholders such as American Cancer Society, American Heart Association, American Lung Association, and Interact for Health. The experience afforded him the opportunity to observe how city-level policy advocacies are shaped. Taiwo was part of the policy presentation that was proposed to the Cincinnati Public Schools Board (a city stakeholder agency). Lastly, he featured an advocacy/educational video on this policy which was posted to the Facebook page of CHD. In her own words: "I would describe the National Environmental Health Association (NEHA) Internship as a capacity building program that complements the in-class knowledge acquired by student interns. It provides an experience to maximize the training provided in class. All the objectives set for the program was achieved. This internship should be encouraged because it prepares students for a future career in environmental health. I thank my God for seeing me through this internship. Thanks to NEHA for selecting me for the internship, and to the Cincinnati Health Department for offering every opportunity to learn. Appreciation to the department of Environmental Health, ETSU for the support they provided; and especially my major Professor Dr Ying Li for always providing the necessary guidance. Thanks to my wife and son for their understanding during the internship." ​Responsibilities: This summer Victoria worked with the Communicable and Environmental Diseases and Emergency Preparedness (CEDEP). She gained field experience assisting and observing the sampling of private well water and spring water. Victoria also learned how to complete chain of custody forms, transport and collect water samples, and communicate with a state lab. Field work consisted of testing for metals, radon, E. coli, total coliform, nutrients (chloride, fluoride, nitrate, etc. ), pH, temperature, and more, depending on the water source and concerns. During her internship, Gatlinburg, Tennessee experience and outbreak that occurred at CLIMBWorks, an adventure facility. Victoria was part of the emergency response for the outbreak and observed the process of connecting with the facility, the public, customers, those ill, the lab, other health departments, and health professionals. The process involves collecting samples, analyzing data, and discussing the outbreak. They determined the well water as the source of contamination. For her project, Victoria wrote questions for the updated survey for ill individuals on the REDCap survey database and created a investigative survey using “branching logic” and “calculated fields.” Victoria was given training in mapping using ArcGIS and was able to use the training on other projects that she was a part of that focused on mapping the reported outbreak data in Tennessee, collected from 2015 to 2017 and updating “Weatherization,” for the health department’s website. In her own words: "The ENPH Practicum has given me the opportunity to explore many learning areas encompassed by the program. My internship was sponsored by the Center of Disease Control (CDC) through the National Environmental Health Association (NEHA). I was placed at the Tennessee Department of Health (TDH). The internship program connected me with my mentor, DJ Irving. I had many opportunities to expand my knowledge because of his connections in the health department, and outside of the health department. The growth I experienced through this internship gives me the confidence to move forward in the field of environmental public health. I learned the connectedness and depth of the field, and enhanced my skills in working independently, and with others. Notably, the individuals I worked with generously shared their time and background and made the internship exceptional." Responsibilities: This summer Elana worked as an intern in the Caroline County Department of Public Health in the Environmental Health division. She landed in Denton, Maryland for the summer because of her expressed interest in water safety, which is a prominent issue in Maryland due to the historic issues in the Chesapeake Bay watershed. Elana’s individual objectives and projects for this field experience centered on learning about the structure and function of government environmental health agencies and on protecting surface and drinking water in this community. Her first project involved learning more about a local lake subject to toxic cyanobacteria blooms and collecting all available resources for alerting the public should such a bloom occur in the future. Since an advisory for the lake had been issued previously, this involved gathering past documents created by other sanitarians into a shared drive allowing everyone to have access to them. The second assignment was to get all transient, non-community water systems into compliance with federal total coliform and nitrate standards. Finally, she developed a flood protection well cap public outreach project at the suggestion from her supervisor to encourage residents to be proactive in their private drinking water well safety. This project was intended as a public health educational outreach program to increase the community’s knowledge of vulnerability to flood water contamination. The current information available from well applications did not include existing well cap information, so this was a first attempt to understand how many people have protected wells and how many people have interest in enhancing their current protection. In her own words: "This internship has been very effective in meeting my learning objectives. I have been able to practice proper and effective communication, learn more about environmental programs, their role in a community, and common issues regarding their operation. Furthermore, I have developed an understanding of water sampling techniques, how to protect a watershed from nutrients and their sequelae, and finally the basics of implementing an educational outreach program. The biggest strengths of this internship were teaching me more about my selected competencies, as well having the support from my supervisors and colleagues to carry out my tasks. I have thoroughly enjoyed and benefitted from this experience and expect it to support the rest of my academic background in finding an excellent career." Responsibilities: At the Tennessee State Department of Health, Caitlin worked closely with two CDC funded groups; the Environmental Health Specialist Networks (EHS-Net) and Food and Safe Water for Community Health (SafeWATCH). 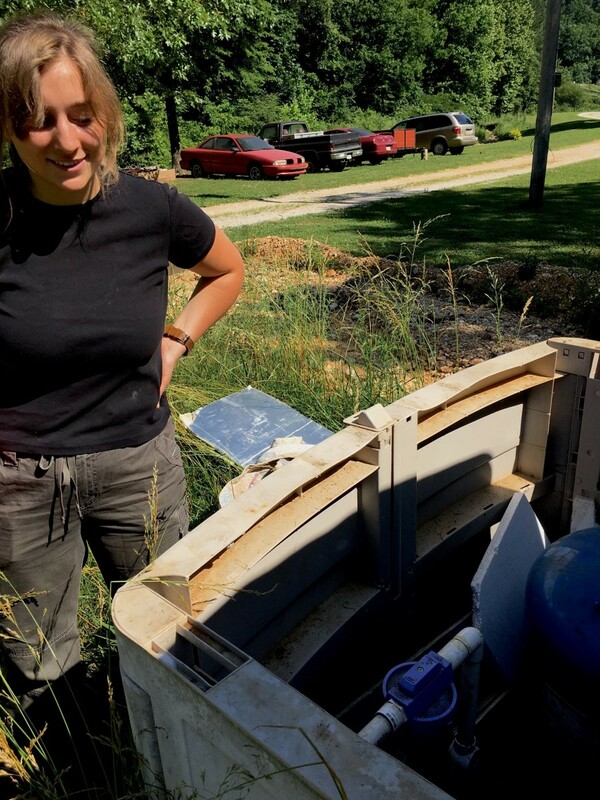 Caitlin helped the SafeWATCH group test drinking water facilities and private spring water for potentially Harmful Algae Blooms (HAB). The test monitored waters state-wide for toxigenic cyanobacteria and cyanotoxins via LC/MS Microcystins Cylindrospermopsin, Saxitoxin, and Anatoxin-a. 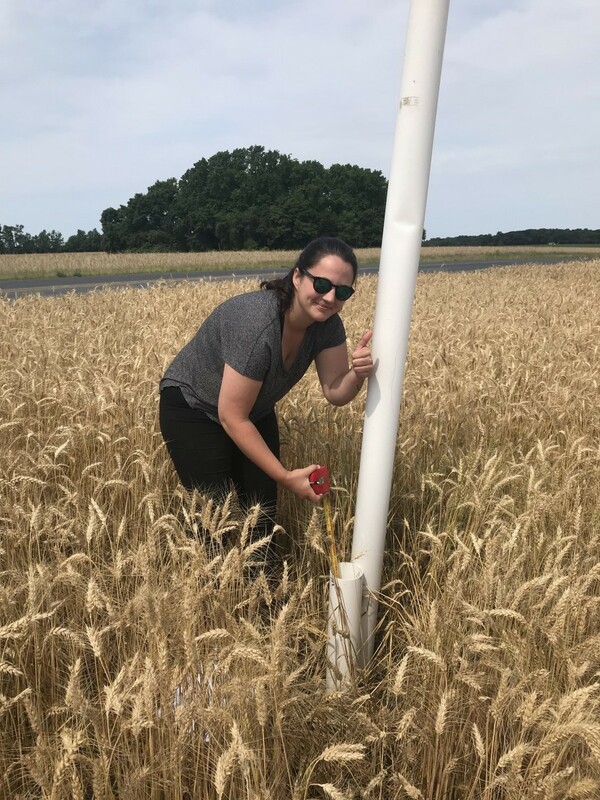 Her project for the internship was to develop an online survey that gathered feedback from local foodborne outbreak investigators about the CDC’s National Environmental Assessment Reporting System (NEARS). The survey was to assess knowledge gaps, identify training needs, and understand perceptions. Additionally, she assisted in the investigation of a possible foodborne disease outbreak, shadowed the Mid Cumberland Regional Office with the Summer County health department on pool inspection and even got to observe a consultation for tattoo parlor. Responsibilities: Bobbi's greatest responsibility at her host health department was performing animal encounter investigations. She obtained skills in public relations and infectious disease surveillance from relaying quarantine information and rabies education to animal owners and bite victims. Bobbi also had opportunities to participate in meetings in other jurisdictions across West Virginia on current events like Zika and water quality warnings. For her independent project, Bobbi worked with another intern to capture and test mosquitoes in the region for arboviruses such as West Nile encephalitis. In Her Own Words: “By observing the sanitarians in their occupational duties, I came to the realization that you never have the same day twice when delivering environmental services. My mentor was instrumental in providing an assortment of opportunities to help me better understand the role of public health departments and the impact they have on the community. The outstanding support I received from NEHA and the CDC throughout my internship are reasons why I would absolutely recommend this program to others." Responsibilities: Kyle was responsible for restaurant, pool, marina, well, and hotel/motel inspections; complaint response; rabies control and beach water monitoring. Kyle discovered that EH professionals serve a vital and sometimes life-saving role in protecting residents from potential foodborne illnesses associated with restaurant violations and the hazards of rabid animals. In His Own Words: "It was very rewarding to put the knowledge learned in classes to real time application. I found myself in some of the most astounding scenarios, leading me to think that this job could provide a lifetime of entertainment and moral satisfaction. I can’t wait to see where my future in environmental health takes me."